There are so many beautiful wedding venues in The Bay Area that it is difficult to choose which one to use for your wedding. A word of warning, though. 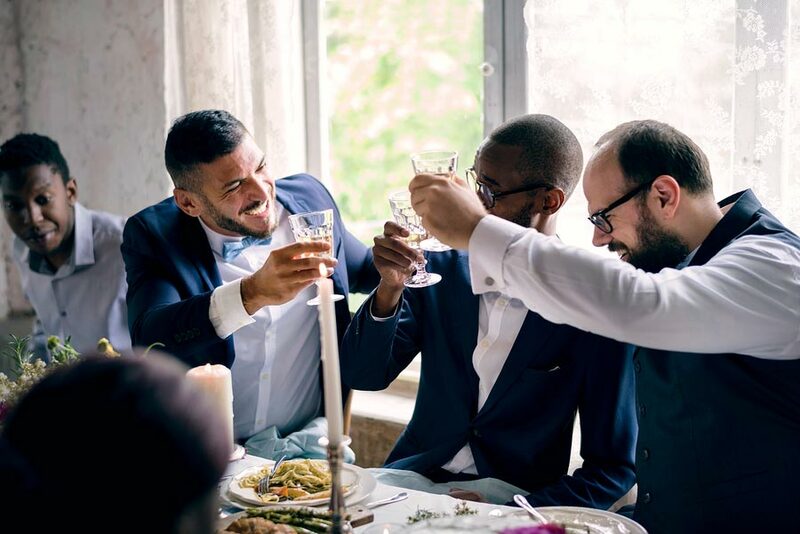 If you’re just starting to shop venues, soon you’ll find out they won’t let you use the caterer you have your heart set on. 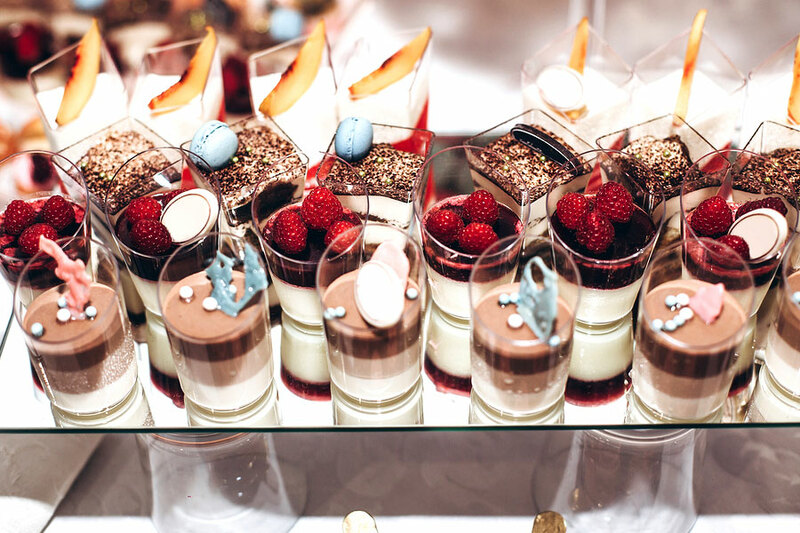 Nearly all wedding venues in The Bay Area will require you to use their in-house catering. This means you won’t get the menu you wanted to have at your wedding. Sometimes they will insist on making your cake, as well. At Villa Ragusa, we feel that policy is wrong. We want to make sure your wedding is just the way you want it to be. Of course, we allow you to have any caterer you’d like to use and have the menu you dreamed of having at your wedding reception. We also allow you to have a band for dancing at your celebration. We will even provide a dance floor! For those wedding receptions where the bride and groom are not interested in fussing over food and menu choices, we have a wonderful in-house catering staff. We have several menus to choose from that give a nice variety of popular entrée choices for your guests. 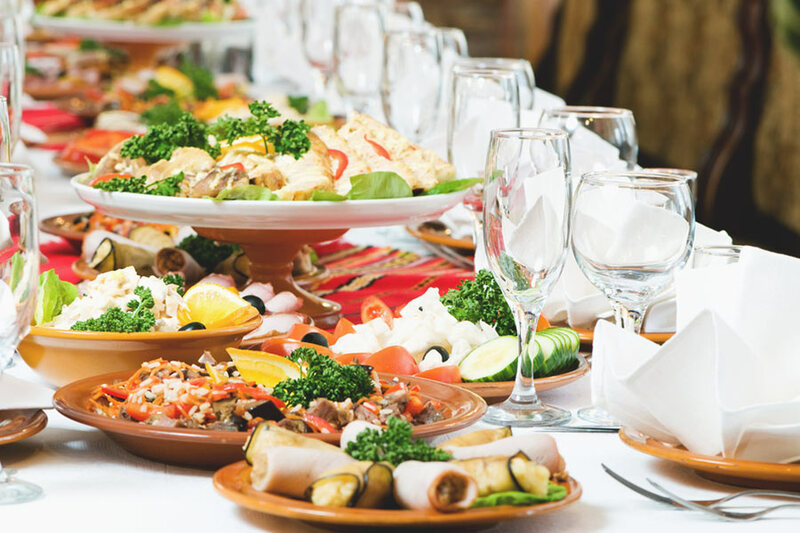 Your wedding reception meal can be breakfast, lunch or dinner, as a buffet or a served meal while guests are seated. While many couples choose us specifically for our friendly outside catering policy, some choose us because of the beauty of our building. We encourage you to make an appointment for a tour of our facility as soon as you start looking at wedding venues in The Bay Area. Give us a call soon. We want to hear all about what you have planned for your big day. Finding a venue that allows outside catering for your wedding reception is difficult. But! You are in luck. The gorgeous venue Villa Ragusa allows outside catering for any event. So, if you are keeping kosher, halal, vegan or if you just want to use your favorite caterer, you’ve found your venue. Villa Ragusa knows that you have enough on your plate when planning your wedding without having to struggle over catering issues. 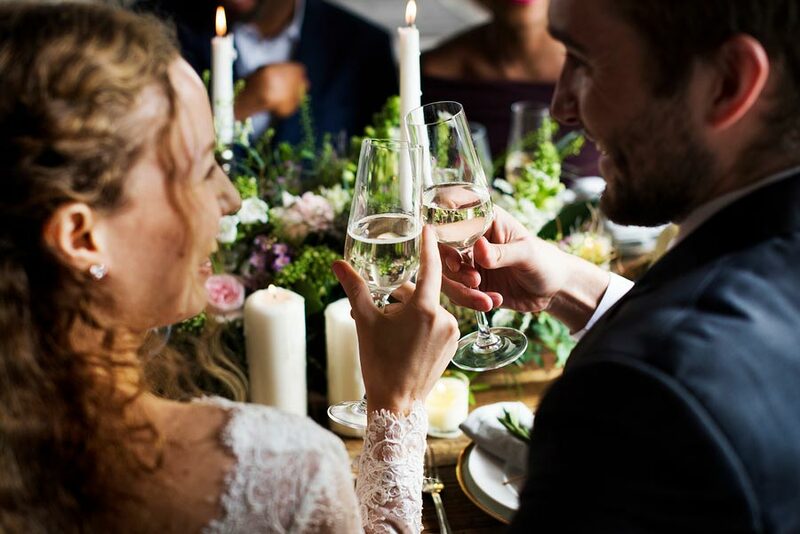 We want to make sure your event is perfect and provides the exact dining experience you want for your wedding reception. Using an outside caterer is not too much to ask! For the health and safety of all guests, we do have guidelines for using an outside caterer that must be followed. When you book your event, please ask us about our outside catering guidelines. We know you think your Uncle Pete is the best cook ever! And we’re sure he creates some tasty dishes that everyone would enjoy. Unfortunately, in order for your friend or relative to cook for your event at Villa Ragusa they need a current catering business license and a current health certificate. This is the only way we can be sure that your friend or family member has all of the food safety knowledge and practices required by law. Please allow adequate time for Villa Ragusa to approve your catering choice. The caterer needs to do a walk-though at least a month before the event. Both the caterer and their staffing agency need to sign our contract. All beverages must be purchased from Villa Ragusa, even when using an outside caterer. Barware will be provided by Villa Ragusa unless provided by the client. Villa Ragusa is a venue that knows the food served at your wedding is so very important to you. We do everything we can to help make your choices happen.